Welcome! Here you will find everything you could possibly want to know about bareboat sailing and power boat charters in the British Virgin Islands. Finding the right yacht for your needs can be an overwhelming process for the uninitiated ... but it really doesn't have to be. Firstly, depending upon which yacht you ultimately select, your holiday will begin and end at one of three charter bases. Not familiar with the BVI? You'll find us on this map of the Caribbean, south east of Puerto Rico. We're amongst the little specks in the red triangle. Secondly, beginner sailors may want to know what all the "boating jargon" used throughout this website means. Have a quick look around our yacht charter glossary to bring yourself up to speed. Thirdly, following is almost all the important stuff ... see further down this page for more of the nitty gritty details pertaining to yacht charters. 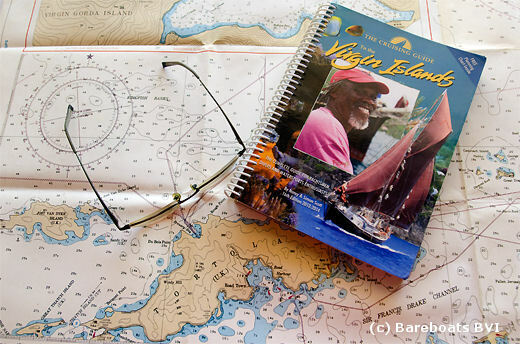 Bareboat Charter Qualifications - Requirements to skipper a yacht in the BVI. Hiring a Captain - Why, for how long and how much? ASA Sailing Lessons - Learn to sail and earn your bareboat certification. What's Included in your BVI Yacht Charter - Which company provides what? Booking Procedures - You've found the boat you'd like to hire, now what? BVI Cell phone & Wi-Fi Service - Staying connected while on vacation. FAQ - Quick questions and quick answers to our most common questions. Travel Planning - How to get here, Tortola hotels, ferry & taxi info, packing tips, etc. Check In Process - What to do when you arrive at the charter base. Pre-Charter Checklist - Go over your yacht from stem to stern. Sailing Itinerary Introduction - A preamble for planning your route. BVI Sailing Itinerary - There's lots of information here. Have fun planning! Yacht Club & Group Charters - For those chartering 3 or more boats. Yacht Provisioning - Where to buy your groceries and how provisioning works. Scuba Diving & Snorkeling Gear - Equipment rentals, lessons and rendezvous diving. Water Sports - Water toy rental, wake boards, kayaks, SUP's, fishing gear, etc. You'd like a bigger dinghy - Here's where you can rent one. Your Yacht Charter Broker - that would be me, Liane Le Tendre. Our references - or lack thereof, and why. The links above deal with all the standard info that everyone pretty much needs to know. But some of us find comfort in knowledge, no matter how insignificant some may think it seems ... until they need that information of course! There's actually a lot to know about bareboat charters and until now, much of it had to be learned over a period of years, through experience. But if the information is readily available in a cohesive and easy to follow manner, why not take advantage of it? So go ahead and dive in. There's really no mystery surrounding the subject. Catamaran versus Monohull - How to choose? When to Book Your Charter - How far in advance do we need to reserve a boat? Chartering an Older Yacht - The price is right but should we be concerned about age? Chase Boat Service - What happens if our yacht breaks down? Sailing to Anegada - Will we be allowed to go there? Visiting the U.S. Virgin Islands - Do we have to clear customs? What is the process? Importing Food Products to the BVI - What can we bring with us? Sailing Etiquette - Reserving a mooring ball with your dinghy. BVI Weather - Climate info, weather broadcasts, tradewinds, tides & currents, etc. Boating Safety - and tips on knot tying. Don't underestimate the value of a reliable knot! Most common bareboat accidents - Sadly, accidents do happen. Yacht Charters & Hurricanes - Important if sailing between June 1 and November 30. Dealing with seasickness - Symptoms, prevention and remedies. Rip Currents - How to identify them and what to do if caught in one. Ciguatera Fish Poisoning - You really don't want to go there! Dengue Fever, Chikungunya and Zika Virus - How not to become infected. There will likely be more topics to come ... as and when the need arises and as time permits. If you find we are missing anything specific to yacht charters in the BVI that you'd be curious to know, send us a message and we'll add it to our "to do" list!